Based in Braintree, UK, Atlantic has specialist design, manufacture and test facilities and employs more than 15 staff. Currently, the company distributes 14 different satellite communications product lines covering 10 MHz to 110 GHz, which includes test loop translators and satellite simulators. With this shared focus on custom design and providing customer service, the acquisition will see Atlantic expanding their range of RF based products. Atlantic’s clients will also benefit from ETL’s engineering expertise covering RF, PCB and CAD design. Ian Hilditch, CEO, ETL Systems, said that Atlantic Microwave offers a wide range of complementary RF products and a different customer base. The company will be able to use our experience as a global manufacturer to support Atlantic around the world. Atlantic is also focused on customization of its RF range and so the firm was a well aligned company for ETL Systems to acquire. 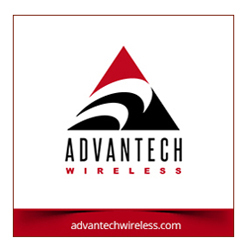 Geoff Burling, CEO of Atlantic Microwave, added that the company is delighted to welcome the support of ETL Systems, especially as they have a similar reputation for specialist RF design. Atlantic look sforward to continuing to grow the firm's RF testing markets around the world.